Major oil trading houses are predicting the return of US$100 crude for the first time since 2014 as OPEC and its allies struggle to compensate for U.S. sanctions on Iran’s exports. When Trump in May announced plans to reimpose sanctions on Iran’s oil exports, the market estimated a cut of about 300,000 to 700,000 barrels a day, said Trafigura Group co-head of oil trading Ben Luckock. However, the consensus has now moved to as much as 1.5 million barrels daily as the U.S. is “incredibly serious” about its measures, he said. Iran’s production “is going to be significantly less than it was, and probably lower than most people expected when the sanctions were announced,” Luckock said at the APPEC event. He sees US$90 oil by Christmas and US$100 in early 2019. Brent crude, the benchmark for more than half the world’s oil, rose 2.5 per cent to US$80.56 a barrel at 11:40 a.m. in London, after earlier jumping to the highest level since November 2014. OPEC isn’t just grappling with U.S. sanctions cutting Iranian supply. Output in Venezuela is also slumping due to an economic crisis. The biggest source of new global supply, U.S. shale, is also experiencing growing pains as pipeline bottlenecks and workforce issues hamper growth. For all these urgent supply pressures, the world’s largest oil producers adopted a sit-back-and-wait approach at their meeting in the Algerian capital on Sunday. Saudi Arabia, Russia and the United Arab Emirates insisted they had the spare capacity to satisfy the market’s needs, but wouldn’t tap it preemptively. “Our plan is to meet demand,” said Saudi Energy Minister Khalid Al-Falih. “The reason Saudi Arabia didn’t increase more is because all of our customers are receiving all of the barrels they want.” The kingdom does expect to pump more in September and increase again in October, he said, without pledging specific volumes. Major oil companies took some solace from OPEC’s assurances. 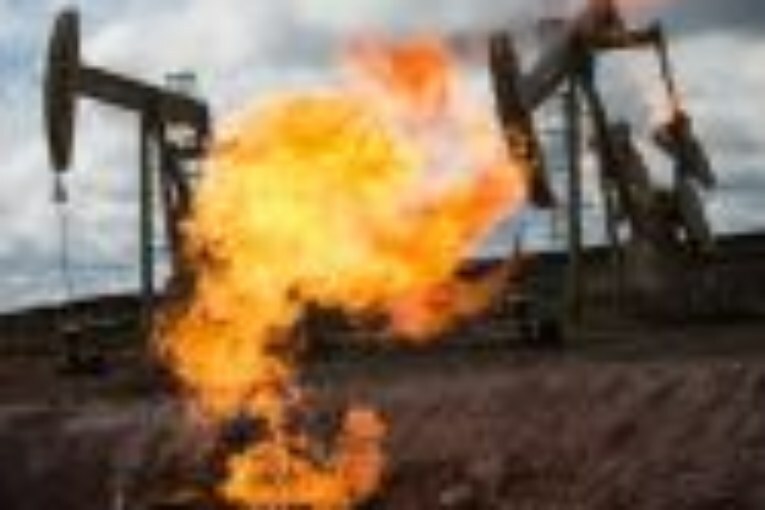 While the group didn’t take action on Sunday, it seems set on making sure the market doesn’t get too carried away, said Mark Quartermain, Royal Dutch Shell Plc’s vice president for global crude oil trading and supply. Oil at US$100 may not be sustainable in the longer-term because demand may be threatened by the U.S.-China trade war and supply, especially from the U.S., was seen sufficient in the next 12 months, said Janet Kong, BP Plc’s head of trading in Asia. Wall Street bankers and hedge funds also saw some caveats to the bullish mood. A decade ago, Brent crude surged to nearly US$150 a barrel, only to crash just months later as high fuel prices and the global financial crisis triggered a slump in demand. This time, the deepening trade war between the U.S. and China threatens economic growth in Asia and turmoil in emerging countries could amplify the impact of higher prices on global demand growth. Bank of America’s main scenario is for oil prices next year of around US$80 a barrel, according to the note. Citigroup Inc. sees crude at that level in the fourth quarter, but sees risks that it will go higher. “Balances are precarious and the lack of spare capacity could see crude pricing well above US$90 or even US$100, should all of the potential risk in the market materialize,” analysts including Ed Morse said in the note.